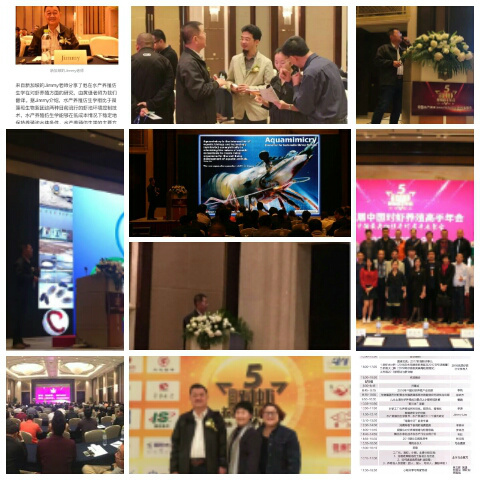 Jimmy Lim presented the Aquamimicry Sustainable Shrimp Farming paper to a large turnout of China-wide shrimp farming fraternity which include scientists, researhcers, farmers, shrimp industry honchos at 2017 China Shrimp conference at Shangrila Resort Hotel at Haikou, Hainan. China heard us on Aquamimicry the first time at Hainan and there are strong interests to know more about natural sustainable shrimp farming practices at a time when China shrimp farming industry was at it lowest production capacity in 2016. Aquamimicry - the next aquaculture paradigm shift has started in China.